The fixed angle monitor arm will support a flat screen monitor at a 45 degree angle to the workstation operator. 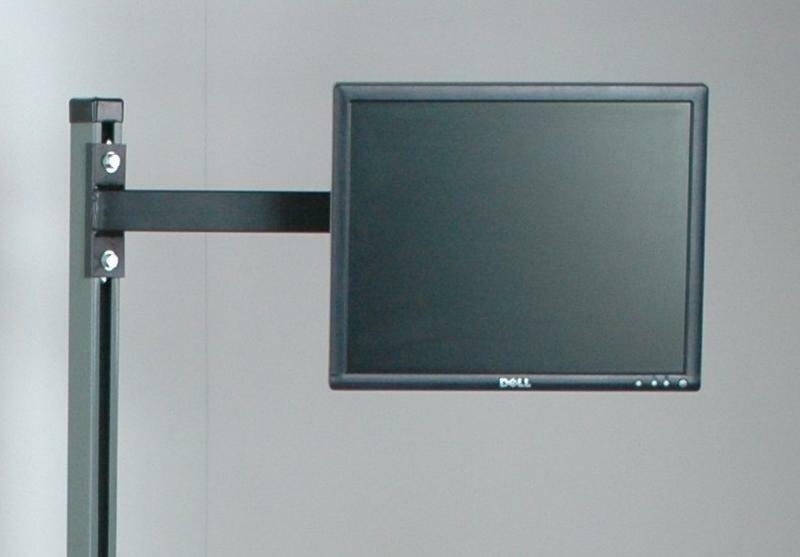 The unit attaches to any of our overhead structure uprights, and will adjust in height on these upright. 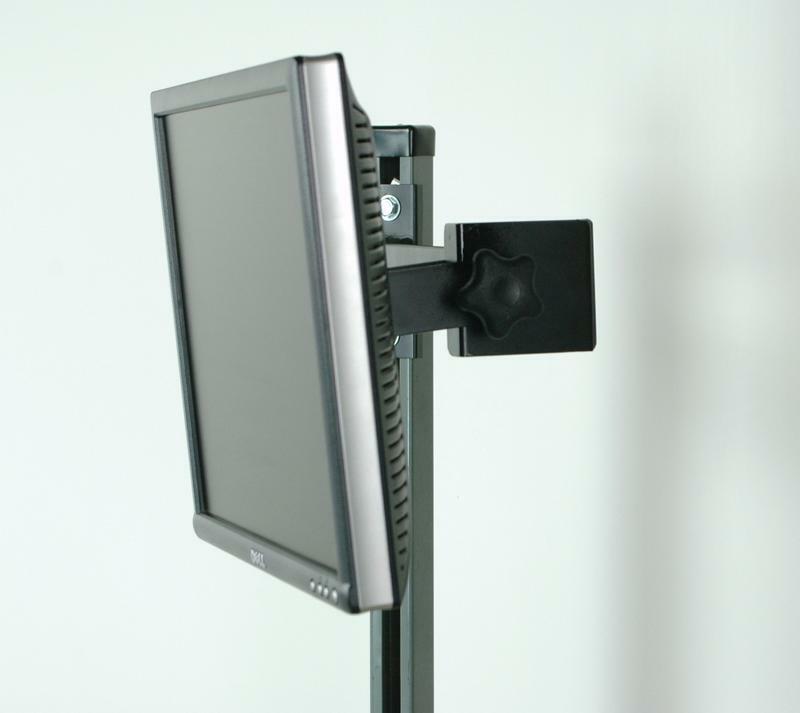 The bracket holding the monitor will allow for 45 degrees of tilt by loosening a hand knob behind the monitor.